Jacqueline Fernandez turns 31 today, the 11th August. 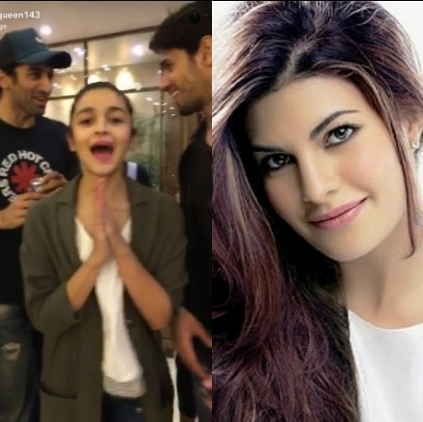 Jak was on her way to Paris along with other stars such as Alia Bhatt, Katrina Kaif, Sidharth Malhotra, Parineeti Chopra and Aditya Roy Kapoor who surprised her in the airport. The actress also shared pics of her birthday celebration at the airport through Snapchat. The actress who made her debut through the film Aladin opposite Riteish Deshmukh has also been part of notable movies such as Murder 2, Roy, Kick and Housefull franchise. Her film opposite Tiger Shroff, A Flying Jatt is set for release later this month. Wishing the beautiful Bollywood diva a very happy birthday! 38 years and still going stronger! People looking for online information on Alia Bhatt, Jacqueline Fernandez, Katrina Kaif will find this news story useful.